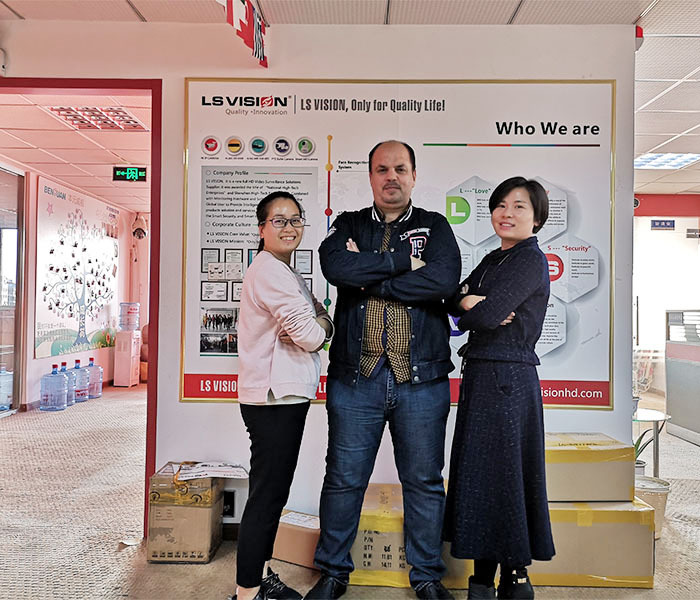 On November 25, 2018, Ali Almeezan, an Iraqi customer, visited Shenzhen LS Vision Technology Co., Ltd for a field visit to exchange industry information and further discuss the cooperation space between the two sides. Ali Almeezan is a large distributor in Iraq. He is interested in the analog hd products of our company and has raised many questions. Jenny, Sophie and Mr. Fang have provided detailed answers. Rich industry experience and many years of research and development results let the two sides have a pleasant exchange, and then the two sides introduced their respective companies, after a preliminary understanding, the customer showed the comprehensive strength of our company, said yes. Under the guidance of the company's accompanying personnel, the customer also visited our company's office building, workshop workshop, research and development room, exhibition room, etc., and conducted on-site operation, demonstration and explanation of the products the customer was interested in. 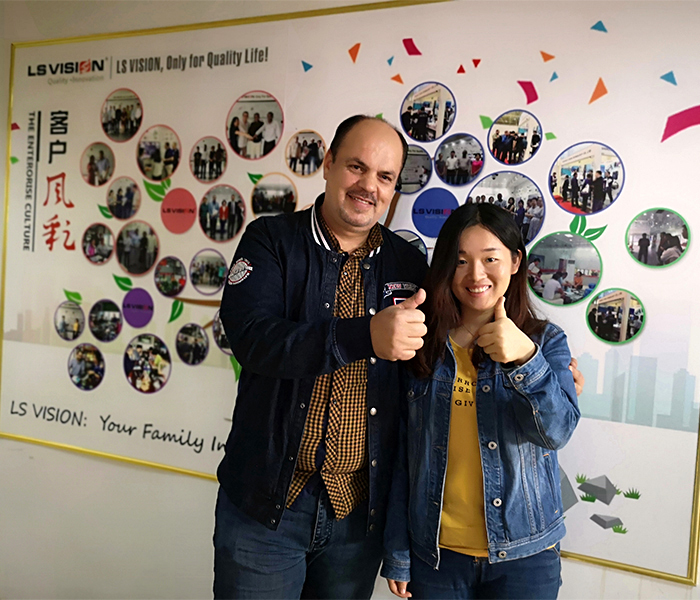 After visiting Shenzhen LS Vision Technology Co., Ltd, the customer had a deeper understanding of Shenzhen LS Vision Technology Co., Ltd, and was very satisfied with the high precision, high performance and high quality of our products. After friendly negotiation, the two sides reached further consensus on the OEM cooperation intention. 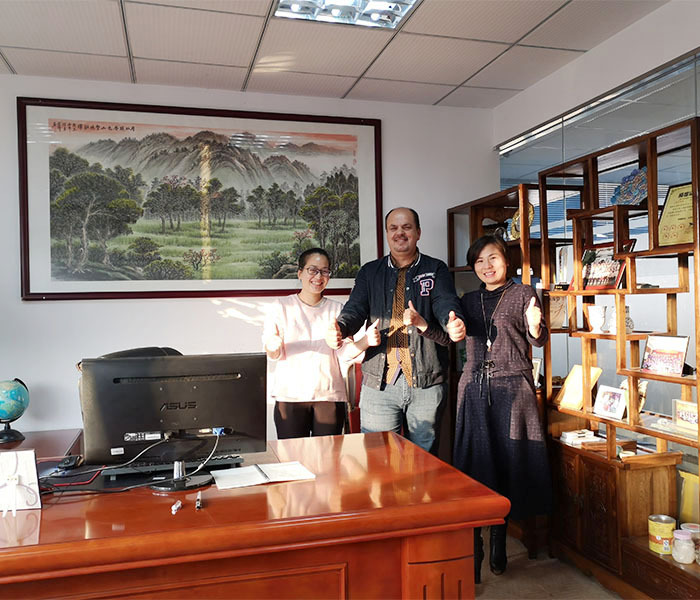 The customer has been deeply impressed by our good working environment, orderly production process, strict quality control, harmonious working atmosphere and hard-working staff, and has had in-depth discussions with the company's top management about the future cooperation between the two sides, hoping to achieve mutual benefit and common development in future cooperation projects!